Keith started his networking career as customer service representative at Cisco Systems in 1996. His desire to learn more soon led him to a position as a Cisco Technical Assistance Center (TAC) engineer on the “Dial-Access” team, and within six months he had obtained his Dial-ISP CCIE. He later became a network consulting engineer and obtained his CCNA certification while teaching the technologies to Cisco employees during his lunch breaks. After almost 17 years with Cisco, Keith joined a small startup and focused on 802.11 Wi-Fi technologies, during which time he obtained his CWNA certification. 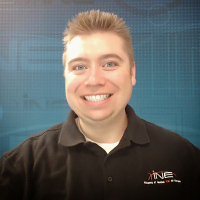 He is now very happy to be working with INE as an instructor for Routing & Switching. You may contact Keith Bogart at kbogart@ine.com or find him helping others in INE’s IEOC Community Forum. Rohit has been in the networking industry for more than 17 years, with a focus on Cisco networking for the past 15 years. Rohit not only brings his years of teaching experience to the classroom, but also years of real-world enterprise and service provider experience. Rohit has assisted hundreds of engineers in obtaining their CCIE certification, and has been conducting CCIE RS, CCIE SEC, CCIE SP and CCIE Collaboration for Cisco Systems worldwide. Rohit currently holds 5xCCIE’s (Routing Switching, Service Provider, Security, Voice and Collaboration). When not teaching or developing new products, Rohit consults with large ISPs and enterprise customers in India and UK. Rohit is currently pursuing his CCIE Data Center certification. You may contact Rohit at rpardasani@ine.com. Dave has more than 20 years of experience in the networking field, and has spent most of those working with Cisco gear. After earning his CCNA in 1999 and his CCNP in 2000, he soon began teaching to help others earn their certifications. He earned his CCIE in Routing & Switching in 2007 and has been teaching CCIE bootcamps ever since. He also consults for several small and enterprise-level customers. Dave just passed his CCIE Data Center certification and is currently studying to add CCIE Service Provider and CCDE certifications to his list of credentials. When he’s not studying, teaching, or consulting, Dave can be found spending time with his family and off-roading in his Jeep. 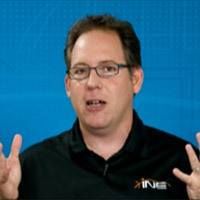 You may contact Dave Smith at dsmith@ine.comor find him helping others in INE’s IEOC Community Forum. Joe Holbrook has been in the IT field since 1993 when he was exposed to several HPUX systems on board a US Navy flagship. Currently, he works as a Subject Matter Expert specializing in Cloud/IT Security focused on Data Storage infrastructure services and Data migrations to the Cloud. Joe holds Industry leading certifications from Amazon Web Services, Google Cloud Platform, Brocade, Hitachi Data Systems, EMC, VMWare, CompTIA, HP 3PAR ASE, Cloud Credential Council and other orgs. Benjamin Shepardson is the founder of NoStop Ghostwriting. As the company’s leader, Ben brings to the table an innate ability to help small businesses compete with larger competitors through content strategies and SEO. Joe Brinkley has over 10 years of professional IT and Information Security experience under his belt and currently manages a team of cyber security professionals at Activecyber. Joe has always been a tinkerer, geek and all around “computer guy.” He has numerous certifications including the CPTE and experience working with various technologies including Linux and VMware. Jonathan works as a Windows Server and Azure Infrastructure Engineer for New Signature, a cloud-first, full-service Microsoft solution provider and Microsoft Gold Partner. He is also a Microsoft P-CSA (Cloud Solution Architect). Jonathan has earned several certifications including: CISSP, MCSA: Windows 2012 R2, MCSE: Cloud Platform and Infrastructure 2017, Microsoft Azure, and Cisco CCNA. Marvin Collier is a dedicated husband and proud father of 4 kids and has 2 decades of experience designing and managing large databases and data analytics systems. Marvin has several AWS certifications including, AWS Certified Solution Architect, AWS Certified SysOps Admin and AWS Certified Big Data Specialty. When he’s not designing and implementing AWS architectures, he enjoys playing games with his kids and songwriting. Jon Peck is a full-stack developer, consultant, teacher, and startup enthusiast. With a Computer Science degree from Cornell University and two decades of industry experience, he now focuses on bringing scalable, discoverable, and secure machine-learning microservices to developers across a wide variety of platforms. Melissa Hallock has been in the IT field since 1996 when she first began working with hardware and has spent much of her career teaching IT. Melissa also has several certifications including the A+, Networking +, Cloud +, and the Windows 7 certification. She is now working on a Security + certification, and then will get started on her MCSA. Phillip has been in the IT Industry for over 17 years and gained much experience consulting, designing, planning, implementing and documenting various network environments. Throughout his career, Phillip has also had the opportunity to work with many protocols including: Cisco PAR, Cisco BNG, OSPF, OSPFv3, EIGRP, EIGRPv6, ISIS, BGP, L2VPN, MPLS L3VPN, VPLS, QoS,GPON, E1, ADSL,SHDSL, Switching, DMVPN, IPSEC, VMAN, EAPS,REP, and ERPS. Piotr began his networking career in 2007 during his studies and earned his CCIE Security Certification only 2 years later, on his first attempt (CCIE #25565). For the past several years Piotr has designed, developed and taught CCNA, CCNP and CCIE training courses for one of the largest, and most respected Cisco training companies in the world. Heath Adams is a cybersecurity professional. He currently holds the OSCP, OSWP, CEH, CCNA, Security+, Linux+, Network+, and A+ certifications. When he is not developing courses with INE, he spends his work life as a senior network engineer with a national lab in the United States. He is also currently an Army Officer in the Reserves. Josué Vargas is a networks and security engineer and also owns his own company in Costa Rica, Netquarks Technologies S.R.L. He started law school, but soon realized this wasn’t the path for him. While working in the call center industry he discovered Cisco and started researching careers in the IT industry. Josué is CCNA, CCNP and CCDA Security certified. Other certifications Josué has earned include: JNCIP-Sec, JNCIP-ENT, and CEH. Outside of work, Josué enjoys music, traveling, learning languages and trying all sorts of food. Andrew is a seasoned IT engineer with over 12 years of experience. Andrew He currently works for an international satellite communications company, ensuring LAN and WAN connectivity for a large network of ground stations and customers such as NASA, ESA, JAXA, Boeing, The U.S. Air Force, and more. Andrew holds numerous Cisco and CompTIA certifications and is a part-time Cisco Instructor. Gary Bushey is a certified Azure Architect that has worked for numerous Fortune 500 companies and the US Department of Defense. He has 15+ years of experience devising solutions to meet ever-changing technical needs of organizations including the U.S. government, U.S. military, pharmaceutical, agricultural, financial, and healthcare organizations. Gary has experience with various technologies including Azure, Angular, and .Net. Alexis Perrier is a data science consultant who teaches in colleges, bootcamps and company training sessions. He has published two books on Machine Learning with Packt Publishing, and has his PhD in signal processing from Telecom-Paris Tech. Alexis has over 20 years of experience developing software, but has recently gone back to data science, which he has been working in for the past 5 years. Mauricio Spinelli is a Network and Security engineer with more than 7 years of experience in the field dedicated to designing new infrastructures and solving complex issues in many market segments. Mauricio has several certifications in Juniper, such as JNCI and JNCIP-Security. I’m a mostly self-taught machine learning practitioner. I have published papers in machine learning applied to security topics, both in Europe and the USA. My passion is to understand a topic deeply enough that I can explain it to my mother. My name is TJ Vreugdenhil. I am a Network Consultant that helps customers design, scale, implement, and secure their network in a way that makes the most sense to their business. I am a F5 Certified Solution Expert in Security, which is currently the highest offered certification by F5. I obtained my CCIE R/S in 2015. I greatly enjoy solving complex problems, (who doesn’t?) you know the ones I am talking about! My focus has been in Network Security starting with CheckPoint Firewalls in R65. F5 BIG-IP is a product I spend quite a bit of time with, but as you know, in this industry you must keep learning and growing. My next focus areas are Palo Alto Networks, Ansible automation, F5 Cloud and Automation, and Cisco Firepower. Eric Chou is a seasoned technologist with over 17 years of experience. He has worked on, and helped manage, some of the largest networks in the industry while working at Amazon Web Services, Microsoft Azure, and other companies. Eric is passionate about network automation, Python, and helping companies build better security postures. Eric is the author of 'Mastering Python Networking' (Packt Publishing, 1st and 2nd edition), and the author of INE video classes on Ansible, Python, and SDN. Andrew is an avid Linux author and advocate with 5 book title to his name and over 900 videos on his youtube channel . Having started training and consulting in Linux during the late 1990's he is well versed in many Linux distributions and services. Gabe has 8 years of field experience and a Bachelor of Computer Science. He is currently working at Cisco as a test engineer and has also been teaching CCNA R&S, CCNA Security, and CCDA at Wake Technical Community College in Raleigh, NC since 2015. Gabe holds certifications in CCNA R&S, CCNA Security, CCNA Wireless, CCDA, CCNP R&S, and CCDP. He is currently busy developing the CCNA Security course for INE and studying for his CCNP Security certification.